GI Film Festival | 2016 - Celebrating 10 Years of Military Filmmaking - GI Film Festival | Reel Stories! Real Heroes! See Your Favorite Stars at GIFFX! During the week of May 21 – 29, GI Film Festival DC will celebrate its 10th anniversary, marking a decade of award-winning festival events in the Nation’s Capital, showcasing films by, for and about the troops and their families. And to celebrate this momentous occasion, the GI Film Group is proud to present GIFFX, the BIGGEST DC festival yet. At GIFFX we’ll have more movies, bigger parties, special celebrity guests and celebrations to commemorate our ten successful years of telling veterans’ stories through cinema. Congratulations to the GIFFX Screenplay Official Selections! 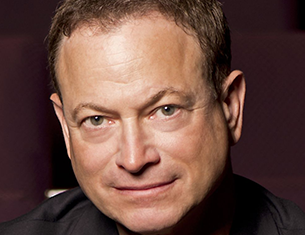 You’re invited to join the GI Film Festival at Howard Theater in Washington DC for a LIVE Anniversary Concert with Gary Sinise and the Lieutenant Dan Band to kick off GIFFX! Presented by TriWest Healthcare Alliance and Gary Sinise Foundation. At 93 years old, Lt. Col. Alexander Jefferson recalls his trials and tribulations from early childhood racism in America to his segregated military experience and overseas combat deployment in WWII. He tells of his stay as a P.O.W. in Nazi Germany and recalls his sobering walk through Dachau Concentration Camp, which was liberated only 2 days earlier. After heroically serving his country in the world’s worst war, Alex joyfully returned home only to be greeted by racism, bigotry and segregation. next move. Join Angie Ricketts, Brenda Sue Fulton, Kate Holt, and Bobbette Brown for film screenings of American Girl, The Road Home, Three Fingers, and American Elements: Taya Kyle followed by a panel discussion about the hardships, the joys, and the triumphs of being a woman serving in the military and the challenges that lie ahead. The panel discussion will include a Q & A session followed by free cocktails and dessert. The GI Film Festival 10th Annual Congressional Reception “Veterans in Transition: Welcoming Our Warriors Home.” VIP Passes and By Invitation Only. Join the GI Film Festival for stories of courage and heart during our International Film Night at the Embassy of Canada. Showing a diverse range of experiences from around the globe, five films from five countries will be represented. In this block, you’ll watch a touching film about one of the most famous poems in the world, you’ll witness a story about love and its true meaning, and you will experience the personal story of one-time teletypist to Hitler, Berlin-born Lisa Kirsch, and more. Following the five films there will be a post screening reception. Complimentary drinks and appetizers will be served from our sponsors at the Canadian Embassy, Brown Forman and Budweiser. Feel the need? The need for speed? Come dressed in your ’80s best and join us on the highway to the danger zone to celebrate the 30th Anniversary our America’s favorite Navy pilot film, Top Gun. Come watch the action-packed film and see Maverick, Charlie, Goose and Iceman on the big screen as if it were your first time. The legend continues as mutant comic book characters come alive again on screen for an epic film that will place you on the front row of destruction in X-Men: Apocalypse. These characters will race against the four horsemen and against time to save the world from false demigods who seek to transmute their power for destructive means to wreak havoc worldwide. Join them and feel the fury, the fear, the pain, and the power unleashed. GI Film Festival will host an advance screening of X-Men: Apocalypse on May 26th at 7:00 p.m. at Angelika Film Center. Governor Jim Gilmore will open up the evening with an introduction of the nights events followed by X-Men’s director Bryan Singer’s taped film intro. There will be popcorn, drinks, an open bar and a chance to win a free gift bag followed by the film screening. Sponsors will include WMAL, 21st Century Fox, and Gary Sinise Foundation. After the screening, join us for an after party for more fun and entertainment. Bringing your project to the screen — big and small — takes more than creativity, talent and persistence. It also requires you make the right business decisions at the right moments. Join GI Film Festival DC, and its roster of entertainment industry experts, for the GIFF’s popular Filmmaker Boot Camp, where you’ll learn the critical business skills you need to succeed in film and television. Perhaps no war in modern history evokes the range of emotions of the Vietnam War. But even in the midst of brutality in the jungles of Vietnam and bitter controversy back home, we catch glimpses of the human spirit. In Escape from Firebase Kate and Return to Dak To, soldiers recall memories of the Vietnam War experience, not only characterized by fighting and bloodshed but also peppered with experiences of joyful camaraderie and adrenaline-pumping excitement. War is hell and no one knows this like those on the front lines of battle. Remember Fort Pillow, Cease Fire, The Year of the Tiger, Winged Warriors, and The Letter explore this hellish reality. They also explore the ironies that arise from war: sacrifice many for a few; let your captor live or die when you have the upper hand; or rely on the enemy to set you free. Chaplain Justin David Roberts served 6 years active duty as an Army Chaplain. Before he left the Army in 2015, he found that beneath the collar of ministry he was struggling with depression and PTSD. Wondering what kind of father he would be if he didn’t face his issues, he set out on a journey to meet up with members of his old unit. This heroic action-thriller is based on the extraordinary true story of the greatest small-boat rescue in Coast Guard history. In 1952, a massive winter storm strikes off the coast of Cape Cod, ripping a T-2 oil tanker in half and trapping more than 30 sailors inside its rapidly sinking stern. When word of the disaster reaches the U.S. Coast Guard, four men led by Captain Bernie Webber (Chris Pine) set out in a 12-seat boat on a daring mission to rescue the stranded men. Comedy? Check. Action? Check. Zombie Apocalypse? Uh-huh. William Shatner? HELL YEAH! For a hysterical time and for some major zombie action, join GIFFX on Friday, May 27 to see the much-anticipated World Premiere of the release of the military zombie film, Range 15. After the world premiere, join us for a post party celebration. Get your movie party ticket to enjoy the revelries with complimentary food and drinks. No one knows the struggle of losing loved ones, missing loved ones, and taking care of loved ones damaged emotionally or physically by war like the families of military personnel. Grief Sleeps, A Soldier’s Story: Major Stephen Reich, Goodman’s Salute, Cold Winter’s Night, Promise Me, Lost in Time, and Frogman each explore the aftermath of war not from the perspective of service-members, but rather from the perspectives of their family members. Indianapolis: The Legacy project tells the fate of the World War II heavy cruiser USS Indianapolis using exclusively first-person accounts. The last crew and their families share gripping stories of kamikaze attacks, invasions, a secret mission to rescue American air crew, and ultimately a devastating torpedo attack that killed three fourths of the crew. The survivors recall the 5 days they spent floating alone in the Pacific Ocean, their miraculous rescue, and how they fought together to clear their captain’s name. GI Film Festival weaves together four powerful stories of people from different walks of life: a Hiroshima bomb survivor; two comrades united by war and carnage; two strangers united by bone marrow; and a veteran outlasting both the war and the average human life span . Although they all have different stories to tell about their experiences, a common thread of struggle unites them all. Films: The Captain – A Bond of Brotherhood, Mr. Overton, Paper Lanterns, Her Unlikely Kin. At the time of filming, Peter Ertel is 95 years old. He is a published author and an avid pianist. Using his skill as a riveting storyteller, Ertel recounts his experiences as a soldier in the German army – from his early days as an “unsoldierlike” recruit who was deemed an “unreliable follower of the Fuhrer” to his becoming a highly respected platoon leader, who routinely risked his life to save the lives of his men. Though Peter takes us through the hell of front-line combat in both France and Russia, perhaps the most ‘unimaginable’ part of his journey begins after he becomes a prisoner of war. Going to war isn’t all guts and glory. Returning to civilian life after war isn’t either. Readjusting to life after war can sometimes be just as traumatic as war itself with the bigger enemy being within. Living For The Ones Who Can’t, Operation Allie, The Last Time I Heard True Silence, Almost Home, First Person Shooter, Return to Iwo Jima, We Men Are Lions, and Letters: A Heroe’s Journey to the Medal of Honor will allow you to explore the hardships soldiers face transitioning back into civilian life – the mental and the physical suffering that it places upon the soldier and the family and how they can overcome those challenges. The U.S. military faces a mental health crisis of historic proportions. Thank You for Your Service takes aim at our superficial understanding of war trauma and the failed policies that have resulted. Director Tom Donahue interweaves the stories of four Iraq War veterans with candid interviews of top military and civilian leaders. Observing the systemic neglect, the film argues for significant internal change and offers a roadmap of hope. Journey to the outer reaches of the heavens to a place beyond the stars and discover a parallel universe in which mankind seeks to cultivate an understanding of what is difficult to be understood. Uncanny Valley, Outpost, The Art of Human Salvage, Jupiter and Mercury, Devil’s Work, The Christmas You Don’t Know, Glasses Forgot, Scarlet, and I Did Not Forget You will take you from the outer space to the infinite dimensions of reality. Beyond Glory is adapted from Larry Smith’s stirring book and presents the stories of eight veterans from World War II, Korea, and Vietnam, rendering first-hand accounts of valor which resulted in the nation’s highest military award, the Medal of Honor. 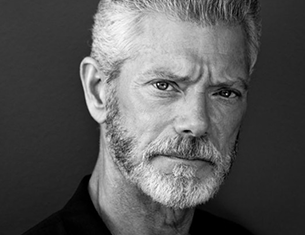 As a tribute to fallen soldiers, Stephen Lang performed the show on military bases, and gave a command performance on the floor of Congress. Lang is most familiar to audiences as the vile Colonel Quaritch in Avatar. Comedy? We got that. Drama? We got that. Music? We got that too. The only thing that’s missing is YOU. Feel like VIP as you enter dressed to impress at our red carpet award ceremony. Stay for drinks, free food, and entertainment from guitarist Dani Figeroua followed by the screening of The Fog, The Long Way Back, Stand, and Naptown Funk. This exclusive event is sponsored by Hardwire LLC, American Heroes Channel and Geico Military. Tango on the Balcony, Embedded, Adventurmentalism, Tender, Healing Soul Wounds, and Steel Leaves takes you deep into the minds of soldiers who live with the consequences of war every single day and for the rest of their lives. See firsthand the pain combat experiencence as they strive to put their lives back together and the incredible resilience they demonstrate in overcoming the devastating effects of war, and, at times, their own actions. Who would have thought that two men from two opposing cultures – America and Vietnam – would come together despite the odds to take down a bigger enemy – Communism. Ride the Thunder: A Vietnam War Story of Victory and Betrayal will have you questioning who is a friend and who is an enemy in this real life tale of two friends on opposite sides of the fences. Feel the sadness, the struggle, the betrayal and even the camaraderie as two unlikely friends unite ironically on the battlefield. War has plenty of named heroes. It also has many unsung heroes who have gone to their graves – gone but not forgotten. Forced Landing and Known Unto God are documentaries paying homage to those who endured the pain of war and paved the way freedom but are not celebrated with conventional militaristic honors. Rising Fear is an indie action thriller boiling with twists, turns, and a deadly conspiracy that threatens to destroy the US government–and freedom itself. Buckle in as writer & director Tom Getty takes you on a roller coaster ride that starts with a bang and doesn’t let up until its explosive finale. Man down but not down and out is the best way to describe Jeremiah, Darryl, and Tourist. These films will take you through the pain of war but will show you the light at the end of the tunnel. These characters brave the storm, live to tell about tribulations of war and go on to do even greater things. War isn’t always all bloodshed and missile strikes. Sometimes it is simply survival, hope and memoirs of days gone by. We Answered The Call, To Those Who Serve, Mister Morvillo, and Heroes on Deck: WW II on Lake Michigan will allow you to observe the mundaneness of military life which may not be all action but still is part of the greater mission. For the ultimate Hollywood experience, movie-goers will walk down the red carpet to attend a special DVD release screening for the Michael Bay-directed film, 13 Hours: The Secret Soldiers of Benghazi, starring John Krasinski, Pablo Schreiber, Dominic Fumusa, James Badge Dale and David Denman. Special guests include Pablo Schreiber (13 Hours, Orange Is the New Black, The Brink, Weeds), Dominic Fumusa (13 Hours, Nurse Jackie, Law & Order: Special Victims Unit) and the real-life Benghazi warriors depicted in the film: Kris “Tanto” Paronto, John “Tig” Tiegen and Mark “Oz” Geist. Interested in becoming a GIFFX 2016 sponsor? Learn more here. American Airlines Group (NASDAQ: AAL) is the holding company for American Airlines and US Airways. Together with regional partners, operating as American Eagle and US Airways Express, the airlines operate an average of nearly 6,700 flights per day to nearly 350 destinations in more than 50 countries. 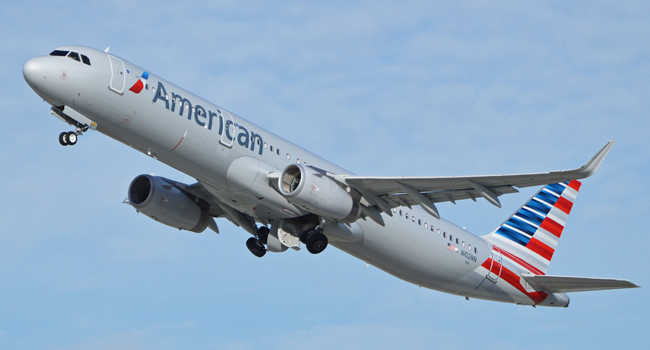 American is a founding member of the oneworld alliance, whose members and members-elect serve nearly 1,000 destinations with 14,250 daily flights to 150 countries. This year American topped Fortune Magazine’s list of best business turnarounds and its stock joined the S&P 500 index. Connect with American on Twitter @AmericanAir. Service is Our Mindset. Doing “Whatever It Takes!” is not only our corporate motto, it is a deep-rooted desire to go above and beyond for our customers, because we understand and honor them. We Respect the Military Culture. We Honor the Sacrifices Made. We are Committed to Providing the Support Our Customers Deserve. Our team members – many of whom are former military or military family members – are committed to providing superior service to our nation’s heroes. Our extensive network of providers ensures we are able to meet the health care needs of our customers, offering quality care closer to their homes, whether in urban, rural or highly rural areas. The providers in our network and our business partners strive to continually support the military community and exceed customer expectations. 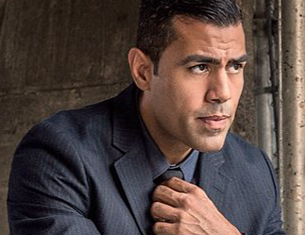 American Heroes Channel is the only network dedicated to the timeless stories in which a challenge appears – be it a situation or a villain – and a hero arises. We explore compelling and uplifting true stories of the bold men and women who have distinguished themselves by their actions. These are the stories of people and events that transcend time and place: from the heroes of Omaha Beach, to the scientists who worked tirelessly during the Space Race, to the SEAL Team Six takedown of Osama Bin Laden, to a young Marine who saved lives during Hurricane Katrina. These stories bridge the connection between lessons of past and legends of today, and demonstrate – for all generations –how courage and conviction shape the future. The Gary Sinise Foundation first began building specially adapted smart homes for severely wounded veterans through a partner program. Those efforts were expanded with the establishment of its R.I.S.E. (Restoring Independence Supporting Empowerment) program. Each specially adapted home features automated amenities to ease the daily challenges these heroes face. In addition, R.I.S.E. is providing injured, wounded, ill and/or aging veterans with home modifications and refurbishments as well as mobility devices and adapted vehicles. Gary Sinise & the Lt. Dan Band performs concerts worldwide to raise spirits and awareness for our nation’s defenders and their families. This includes headlining the Gary Sinise Foundation’s Invincible Spirit Festivals. Each daylong celebration brings a fair-like atmosphere complete with a cookout prepared by Celebrity Chef Robert Irvine to different military venues across the country. The Gary Sinise Foundation’s Relief & Resiliency Outreach program provides assistance to individuals and families recovering from trauma, injury, and loss during times of urgent need. With the establishment of its First Responders Outreach program, the Foundation is providing grants for training and equipment to America’s firefighters, police departments, and EMTs. Through its Serving Heroes program, hearty, classic American meals are served at major travel hubs, military hospitals, and VA centers. Additionally, the Arts & Entertainment Outreach program provides dinner and theatre performances to local veterans free of charge. In 2015, the Foundation launched Soaring Valor with The National WWII Museum. The program provides WWII veterans a chance to visit the museum while sponsoring an historian to document their first-hand accounts of the war. At Magellan, we have decades of experience serving the needs of the Federal Government, our active and veteran service members, and their families. We are driving results in the most complex areas of healthcare to provide comprehensive, cohesive and seamless behavioral health, EAP and Work/Life services to those who serve. From mental health and family counseling, to substance abuse programs and programs focused on sexual trauma, Magellan recognizes the unique needs of each branch of the service and Federal agencies. Providing solutions to the Federal Government since 1992, Magellan is a founding member of Hero Health Hire and a proud employer of our nation’s veterans. We are committed to the well-being of our Federal government employees, our military service members and their families in all theaters. Magellan brings specific focus and expertise to solving some of the most complex challenges associated with supporting an individual’s behavioral health needs. Magellan is setting out to dramatically change how consumers obtain access to care by meeting emerging self-guided, self-driven and self-paced preferences for care. Through our Computerized Cognitive Behavioral Therapy (CCBT) programs, we offer an enhancement to traditional telephonic and face-to-face care. This proven, quality, web-based platform has been shown to decrease the need for higher levels of care, increase access to preventative behavioral health programs, and reduce the need for medication often used to address symptoms. To learn more about our dedication to the Federal and military workforce, and their families, please visit www.MagellanFederal.com or contact us at [email protected]. Paramount Pictures Corporation (PPC), a global producer and distributor of filmed entertainment, is a unit of Viacom (NYSE: VIA, VIA.B), a leading content company with prominent and respected film, television and digital entertainment brands. The company’s labels include Paramount Pictures, Paramount Vantage, Paramount Classics, MTV Films, Nickelodeon Movies and DreamWorks Studios. PPC operations also include Paramount Digital Entertainment, Paramount Home Entertainment, Paramount Pictures International, Paramount Licensing Inc., Paramount Studios and Worldwide Television Distribution. For more than 150 years, Anheuser-Busch, its employees and family of wholesalers have supported America’s armed forces through numerous programs and philanthropic efforts. These include lending resources, raising funds for veterans and assisting dependents of military families. In recognition of the company’s long history of service to the men and women of the military and their families, the Department of Defense presented Anheuser-Busch with the Secretary of Defense Outstanding Public Service Award in 2009. Since 2010, Budweiser has raised more than $6.5 million for Folds of Honor, an organization that provides educational scholarships to the dependents of service members killed or disabled in service in the line of duty. In January 2012, Budweiser joined a community-based effort to hold the nation’s first parade honoring returning veterans from Iraq. On New Year’s Day 2011, Budweiser paid tribute to America’s heroes with a patriotic float in the Rose Parade®. The float was pulled by the world renowned Budweiser Clydesdales and featured veteran service organizations and Anheuser-Busch employees who had served in the military. Since 2001, more than 5 million military service personnel and their families received free admission to select theme parks through the “Here’s to the Heroes” program sponsored by Anheuser-Busch and Budweiser. The company remains a sponsor of this popular program in Florida, Virginia and Texas. Anheuser-Busch helped found the U.S. Military Sports Association, an organization that supports our uniformed men and women’s sports activities, and has donated more than 18,000 pieces of sports equipment to troops in Afghanistan and Iraq. Additional information is available at www.anheuser-busch.com. Booz Allen Hamilton has been at the forefront of strategy and technology consulting for 100 years. Today, Booz Allen is a leading provider of management consulting, technology, and engineering services to the US government in defense, intelligence, and civil markets, and to major corporations, institutions, and not-for-profit organizations.Established in 2006, Interactive Government Holdings (IGH) is a Verified Service Disabled Veteran Owned Small Business (SDVOSB). A prime contractor specializing in providing full service professional solutions to Federal agencies. Established in 2006, Interactive Government Holdings (IGH) is a Verified Service Disabled Veteran Owned Small Business (SDVOSB). A prime contractor specializing in providing full service professional solutions to Federal agencies. Got Your 6 is a campaign that unites the entertainment industry with top veteran-focused nonprofits to change the conversation in America, so that veterans and military families are perceived as leaders and civic assets. PenFed was established in 1935 and is one of the largest credit unions in the United States with over a million members and $16 billion in assets. PenFed serves Army, Navy, Marine Corps, Coast Guard, Air Force, Department of Defense, Department of Homeland Security, defense-related companies, Veterans of Foreign Wars, employee groups, and organizations worldwide. Our worldwide membership enjoys secure and convenient online account access, 24 hours a day. Our members enjoy services by telephone and branches are conveniently located around the U.S. overseas; including the Washington D.C. metro area, Hawaii, New York, North Carolina, and Texas. We offer mortgages, automobile loans, credit cards, personal loans, checking, money market savings, and other accounts. PenFed is federally insured by the National Credit Union Administration and is an equal housing lender. Reserves, prior service military, and their spouses. Valid ID required. learn how to exercise at the intensity you want. Veterans United Home Loans is a national full-service lender that financed more than $7.3 billion in loans in 2015 in all 50 states. Veterans United has helped thousands of military families achieve the American dream of homeownership by using the VA Loan Program. With advantages like zero down-payment and no private mortgage insurance, it’s not hard to see why Veterans and service members are using their hard-earned VA benefit. Veterans United has earned an A+ rating from the Better Business Bureau. Founded in 2002, Veterans United is headquartered in Columbia, Missouri. Veterans United’s nearly 2,000 employees are located in more than 20 states, and are driven by three core values: be passionate and have fun, deliver results with integrity and enhance lives every day. Veterans United is honored to work with the former senior enlisted members of each branch of the armed forces. Our Military Advisors, who are employees, include: Kenneth O. Preston – the 13th Sergeant Major of the United States Army; Micheal P. Barrett –the 17th Sergeant Major of Marine Corps; Rick D. West—the 12th Mast Chief Petty Officer of the Navy; James A. Roy —the 16th Chief Master Sergeant of the Air Force; Charles “Skip” W. Bowen – the 10th Master Chief Petty Officer of the Coast Guard; Denise M. Jelinski-Hall –the 3rd Senior Enlisted Advisor to the Chief of the National Guard Bureau. Employees focus on giving back at Veterans United. Launched in 2011, the Veterans United Foundation is a private 501(c)3 run by the employees of Veterans United Home Loans. More than 90 percent of Veterans United Home Loans’ employees contribute part of their paychecks to our foundation. With these resources, the foundation partners with military-related charities and supports families in need. Since its start, the foundation has donated more than $20 million to charitable causes. Whether it’s providing the children of a fallen hero the opportunity to throw out the first pitch at a baseball game or joining forces to end Veteran homelessness, employees feel privileged to have made an impact on so many lives in such a short time. In keeping with its continued commitment to serve Veterans, Veterans United strives to employ service members. In recognition of those efforts we received the State of Missouri Flag of Freedom Award in 2012 and the Patriot Award from Employer Support of the Guard and Reserve (ESGR), an organization housed in the Department of Defense. To learn more about Veterans United, please visit www.VeteransUnited.com. VeteransUnited.com | 1-800-884-5560 | 1400 Veterans United Drive, Columbia, MO 65203. NMLS ID #1907 (www.nmlsconsumeraccess.org). A VA approved lender; not endorsed or sponsored by the Dept. of Veterans Affairs or any government agency. Equal Opportunity Lender. Mortgage Research Center, LLC. 30,000 sq ft Exposition Center located in Northern Virginia/suburban Washington, DC. Five minutes from Dulles Airport. Free parking and on-site hotel. A place for power and politics, CAPITOL FILE chronicles and celebrates the most influential players, cultural connoisseurs, fashion sophisticates, and philanthropic leaders in the Washington, DC metropolitan region. As the ultimate source for stories of substance and beautiful photography, CAPITOL FILE’s style is to deliver the latest news in art, beauty, business, culture, dining, entertainment, fashion, interior design, jewelry, politics, real estate, sports, and travel. With a unique distribution strategy to reach the most dynamic, discriminating consumers in the area (which includes Maryland and Virginia), CAPITOL FILE offers eight fact-filled issues per year ,with exciting features on what makes DC the most powerful, most talked about city in the world. The Fairfax County Times and FairfaxTimes.com bring community-focused news, sports and entertainment to readers in Northern Virginia every day. Federal News Radio 1500 AM andFederalNewsRadio.com comprise the key source of breaking news, information and analysis for the individuals responsible for carrying out and supporting the missions of federal agencies. Federal News Radio addresses federal agency managers, policy makers and contractors. Federal News Radio’s coverage is non-partisan, non-political, and is designed to help executives more clearly understand and make better decisions about issues affecting their agencies and their companies. Federal News Radio is also the only place to read and hear federal icon Mike Causey everyday. The Hill is the premier source for policy and political coverage, reporting on every aspect of the business of Washington and the campaign trail. The new hottest TV Magazine. Featuring High Profile, Charity, Society, Celeb Events in the U.S.
Military Times is your independent voice for everything Military: News, pay, benefits, photos, videos, discussions, blogs and military discounts. Stars and Stripes has published a newspaper continuously since World War II. Our unique military coverage first became available online in 1999. Today, Stars and Stripes operates as a multimedia news organization. We publish the Stars and Stripes print newspaper edition Monday through Thursday, a special Weekend Edition on Friday for Europe and Pacific, and a separate Mideast edition Friday through Sunday. In addition, we publish several weekly and monthly publications and numerous special supplements. On any given day, readers and visitors number about 1.0 million. Stars and Stripes maintains news bureaus in Europe, Pacific and the Middle East to provide first-hand reporting on events in those theaters. In addition to news and sports, Stars and Stripes newspapers contain all the elements of an American “hometown paper,” including comics and puzzles. The newspapers for Southwest Asia and the Mideast are command-sponsored and distributed at no charge to forces stationed in war zones. In Europe and Pacific, the newspaper is sold on base in coin boxes and at military exchanges. Home delivery to subscribers is available in Belgium, England, Germany, Italy, Japan, and South Korea. Other Stars and Stripes publications include its annual Heroes and special supplements focused on such topics as education, insurance, retirement planning, and travel. Welcome to Europe Guide is published three times annually; the Welcome to the Pacific guides for Guam, Japan and Korea are published for the Pacific community once a year. Variety is at the core of our programming philosophy. We excel at creating distinctive programs of the highest caliber that are both entertaining and informative. They cover a wide range of high-interest topics, including business, finance, automotive, health, home improvement, pets and parenting. We offer content that not only speaks to the interests of our listeners but also creates success for our affiliates. Broadcasting on multiple platforms (terrestrial and internet) throughout the United States, Radio America now serves over 500 stations, the American Forces Radio Network and Sirlus/XM Satellite Radio. Since our inception in 1985, Radio America has received numerous awards, such as the New York International Radio Festivals Gold and Silver medals, the ABA Silver Gavel, the Gabriel Award, and awards from Ohio State and the Freedom Foundation. The military’s media and lifestyle brand. WATM creates content that is genuine and impactful for all genres and platforms. As part of the WETA Honored to Serve initiative, WETA TV 26 presents local productions that illuminate local people, places and history. Each of the six half-hour films — Local Heroes 1, Local Heroes 2, The Art of the Soldier, Never Forgotten, Ultimate Sacrifice and Remembering Vietnam — features multiple segments with a unifying theme. See all broadcast times. You may also view a sampling of compelling profiles below, or visit the Honored to Serve video portal to see additional clips. Listen to 630AM & 105.9FM WMAL, home of Mornings on the Mall with Larry O’Connor and Brian Wilson. Plus, listen to The Chris Plante Show 9am-12pm and the Drive at Five with Larry O’Connor 5-6pm. Listen on the radio, online at wmal.com or via the WMAL app. WTOP is Washington D.C.’s all news station now broadcasting over the web. WTOP is the source for breaking news, traffic and weather. The Zebra is a monthly community magazine in a newsprint format of an oversized tabloid focused completely and ONLY about good news. Monthly features include foodie newz, Z-vents, community spotlights, student success stories, local heroes, pet adoptions and columns about pet training and health, a military column called ON WATCH, written by retired Navy captain and Naval Academy graduate, Marcus Fisk, and numerous other reliable and steady anchors for readers to follow. Printing and doorstep delivering over 30,000 copies to popular single-family neighborhoods and businesses all over town, as well as newstands and strategically placed product boxes. Zebra finds and blankets the important readers/potential customers your business wants to reach. An advertising investment with us means we invest in you as well. There is no other community product in Alexandria or Arlington of our stature and circulation. Blackfinn Ameripub™ is a fun, social restaurant concept that serves modern American food, craft beers and cocktails in a vibrant, high-energy atmosphere. Brown-Forman is one of the largest American-owned spirits and wine companies and sells its brands in more than 160 countries. Cherry Blow Dry Bar is an express salon offering blowouts and more starting at $39 Tape-in hair extensions starting at $310. Cyclone Anaya’s approach to Mexican cuisine is as bold as the famous Mexican wrestler who began the family restaurant in 1966. Blending tradition and innovation to present fine Mexican cuisine in a stylish atmosphere, Cyclone Anaya’s unique dining experience is one for all to savor. 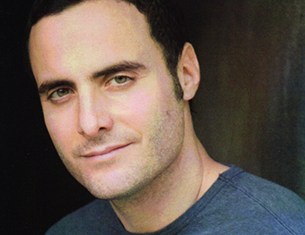 Marc Madnick, co-founder and CEO of Final Draft, Inc., moved to Los Angeles in 1986 to follow his dream of being a screenwriter. Like many aspiring and professional screenwriters of the time, he found the process of writing a script trying and time-consuming. The problem was not a lack of ideas, but rather the lack of any word-processor capable of automatically formatting a script to Hollywood’s stringent standards. This experience led Madnick and former partner Ben Cahan to the creation of Final Draft, a fully dedicated screenwriting software application that automatically formats your script to Hollywood’s industry standards. A very strategic marketer, Madnick knew that if he could convince Hollywood’s heaviest hitters (Tom Hanks, Oliver Stone, and Lawrence Kasdan, to name a few) that Final Draft software will save them time and money, he’d have a chance at success. Just five years after its inception and Madnick’s aggressive marketing campaign, Final Draft screenwriting software had become the entertainment industry standard for screenwriting and the market leader among its competitors worldwide. With the company now in its 24th year and the ninth version of the software, Final Draft, the application and its brand, continues to grow in popularity and into new markets throughout the world. In 2013, Final Draft was awarded the prestigious Primetime Emmy Engineering Award. In 1999, Final Draft, Inc. launched its Big Break Contest as a way to help aspiring screenwriters reach success. Today, the contest continues to flourish and is recognized as one of the most prestigious contests of its kind. The world’s first store dedicated to the art of entertaining. Let us help you create the entertaining spaces of your dreams. For enthusiastic entertainers and social directors, Great Gatherings is the home entertainment resource that offers the finest selection of entertaining essentials and ideas under one roof. Great things do come in very small packages. Join our popcorn revolution! “Hardwire®” (the product) was originally used for seismic retrofit of buildings and infrastructure reinforcement applications, and this is still the case today. However, September 11, 2001 changed Tunis’ focus and the Hardwire team began to work on armor protection for ground vehicles, aircraft, boats, and personnel. Today, Hardwire is known for solving some of our country’s most challenging military and defense problems. For over ten years, the Hardwire team has developed, tested, and fielded armor to protect against a variety of threats, ranging from small arms to improvised explosive devices (IEDs) to underbody blast. These efforts provided life-saving protection for our brave men and women. From 2008 – 2011, Hardwire produced over 5,000 Explosively Formed Projectile armor kits for U.S. Mine Resistant Ambushed Protected (MRAP) vehicles. Hardwire designed and built HMMWV integrated SBC. Hardwire also maintains product lines for critical infrastructure and homeland security protection. Hardwire has supplied E-glass panels to the Defense Logistics Agency, equaling over 100 acres of protection in Iraq. Additionally, Hardwire has designed, produced, and installed armor on a total of eleven bridges throughout the northeast United States, as well as buildings and utilities in major cities across the country. Hardwire manufactures bulletproof shields, clipboards, whiteboards, and backpack inserts which are being used to protect police forces, SWAT teams, and most recently, schools across the country. Hardwire’s armor manufacturing facilities span over 100,000 square feet and enable the Hardwire team to support large, expedient armor manufacturing programs. The capacity is anchored by two custom, state-of-art laminating presses. Using these facilities, Hardwire has become the largest producer of Dyneema® armor in the world. The Jack Daniel Distillery is the oldest registered distillery in the U.S., and it’s where every drop of Jack Daniel’s Tennessee Whiskey is still made today. Jack Daniel’s Tennessee Whiskey is a completely natural product. It is crafted from pure, iron-free spring water, yeast, and 100% natural whole grains: corn, rye, and barley malt. We make our whiskey as our fathers made it for the last seven generations. And if Mr. Jack were here today, we’re pretty sure he’d approve. Modera Mosaic is now leasing brand new studio, one – and two-bedroom apartments in the heart of the Mosaic – just steps from world class shopping and dining! Come experience artful living in our beautifully designed apartment homes complemented by a full-array of all the amenities you desire – elevated pool deck, courtyard fire pit, gaming lounge, you name it! Modera Mosaic is offering 1 month free rent for move- ins within 60 days of application. In addition, move-ins within 30 days from the application date will receive a $1,500 rent credit and $1,000 rent credit for move-ins within the next 60 days from the application date. The United States Navy Memorial, on Pennsylvania Avenue NW between 7th Street Northwest and 9th Street Northwest in Washington, D.C., honors those who have served or are currently serving in the Navy, Marine Corps, Coast Guard, and the Merchant Marine. The National Park Service, through its National Mall and Memorial Parks administrative unit, provides technical and maintenance assistance to the foundation. The memorial is adjacent to the Archives station and the National Archives building. Associated with the Memorial is the Naval Heritage Center. The Heritage Center is open 362 days a year, closing only on Thanksgiving, Christmas Day, and New Year’s Day. 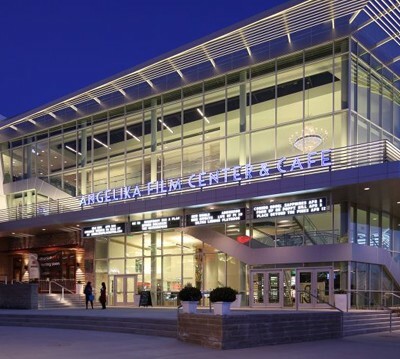 The Heritage Center offers unique space available for rent. The event/meeting space includes the Gallery Deck with full view of the Memorial exhibition area and can hold up to 400 guests for standing receptions. 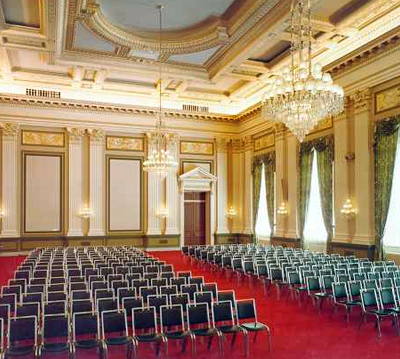 The President’s Room is ideal for board meetings or smaller receptions holding up to 50 seated guests and The Burke Theater that offers state of the art projection system and seats up to 242. ReelAbilities Film Festival brings together the community to promote awareness and appreciation of the lives, stories and artistic expressions of people with different abilities. ReelAbilities Film Festival showcases films, conversations and artistic programs to explore, embrace, and celebrate the diversity of our shared human experience. our mission is to leave communities better off than we found them, starting with how they think about food. The Virginia Film Office markets the state to film, television and commercial production and assists filmmakers in the production of their projects..
Our restaurant is owned by more than 40,000 family farmers of NDFU and is supplied daily by hundreds of family farms everywhere. American Airlines is the Official Arline of the GI Film Festival. American flies to nearly 100 international locations including important markets such as London, Madrid, Sao Paulo and Tokyo. With more than 500 new planes scheduled to join the fleet, including continued deliveries of the Boeing 737 family of aircraft and new additions such as the Boeing 777-300ER and the Airbus A320 family of aircraft, American is building toward the youngest and most modern fleet among major U.S. carriers. AAdvantage® program provides customers with easy access to check and book fares, and personalized news, information and travel offers. American’s AAdvantage® program, voted Program of the Year at the 2013 Freddie Awards, lets members earn miles for travel and everyday purchases and redeem miles for flights to almost 950 destinations worldwide, as well as flight upgrades, vacation packages, car rentals, hotel stays and other retail products. Looking for a great place to stay during the 2015 GI Film Festival? 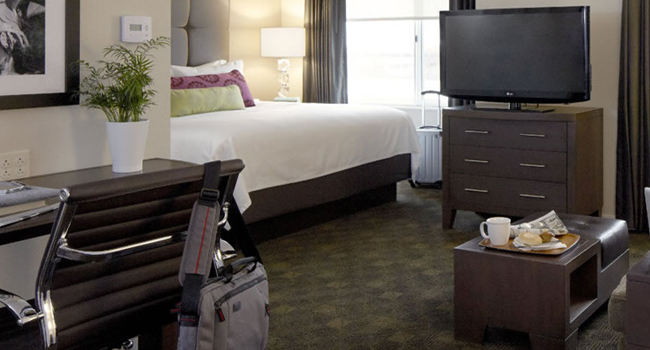 Look no further than the Hyatt House in Falls Church! Looking for a great place to stay during the 2016 GI Film Festival? Look no further than the Hyatt House in Falls Church! Discounted rates for GI Film Festival Attendees! A block of rooms have been reserved for May 21, 2016 – May 29, 2016. The special room rate will be available until April 30th or until the group discounts has sold out. To take advantage of our group rate, enter “G-GIFF” in the corporate or group box. The Embassy of Canada in Washington, D.C. (French: Ambassade du Canada à Washington) is Canada’s main diplomatic mission to the United States. The embassy building is located at 501 Pennsylvania Avenue, Northwest, Washington, D.C. between the Capitol and the White House, just north of the National Gallery of Art. In addition to its diplomatic role, the Embassy handles consular services and assists with international business development for the surrounding states of Virginia, West Virginia, and Maryland. 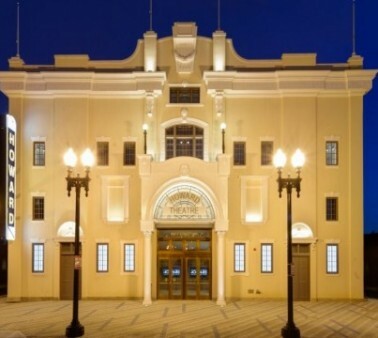 The Howard Theatre is a historic theater, located at 620 T Street, Northwest, Washington, D.C. Opened in 1910, it was added to the National Register of Historic Places in 1974. Conveniently located on Pennsylvania Avenue, N.W. 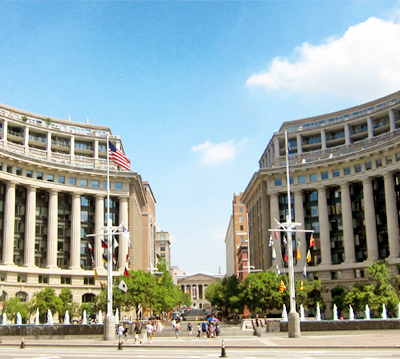 (between 7th and 9th Streets), the United States Navy Memorial honors the men and women of the United States Navy – past, present and future. The Naval Heritage Center is located in the heart of the Penn Quarter and offers visitors the chance to learn about the history and heritage of the men and women of the United States Navy – past, present and future. The Cannon House Office Building, completed in 1908, is the oldest congressional office building as well as a significant example of the Beaux Arts style of architecture. After the Cannon Building opened in 1908 all members of the House of Representatives had an office for the first time in the nation’s history. Before this time some committee chairmen used their committee room as an office, but most members worked at their desk in the House Chamber.